Teething can be a difficult time. This unavoidable period is not an illness, but rather a natural process that generally starts around the age of 6 months (5-9 months)1. Cutting their first teeth can be as unpleasant for babies as it is for their parents. Generally speaking, teething episodes and their related symptoms (pain, redness and swelling of gums) last about eight days (it will be about four days before a tooth actually comes in). Try Camilia, homeopathic medicine used to effectively relieve pain, restlessness, irritability and diarrhea due to teething in infants aged 1 to 30 months. Available in drinkable unit-doses, it is practical and easy to administer. Camilia does not contain sugar, dye or preservatives. Offer food or a pacifier to chew. Place a cool spoon on the gums. Gently rub your baby’s gums with a damp washcloth, clean finger or soft baby toothbrush. Offer a refrigerated teething ring, preferably made of firm rubber. Give your baby a warm bath (about 37 degrees). And always remember that no matter what, you can never give too many cuddles! 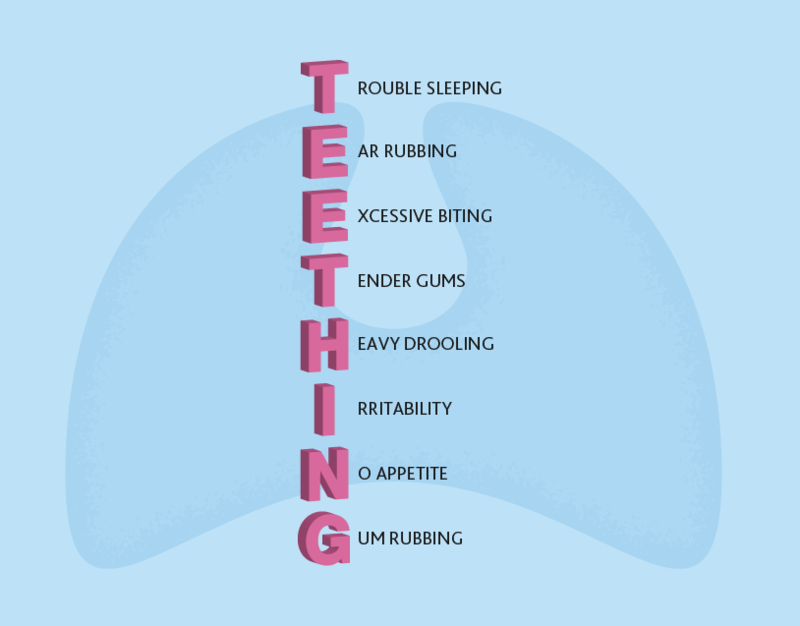 Teething periods can vary according to the child. The average period is 8 days. Most baby teeth, also known as milk teeth, come out in a specific order. Discover the order in which gums give way to the eruption of baby teeth.